When you are in search of trained oven repair Pitt Meadows technicians, get in touch with our company. As cooking appliance specialists, we can repair your oven efficiently. Our techs at Appliance Repair Pitt Meadows are certified, qualified, and licensed. 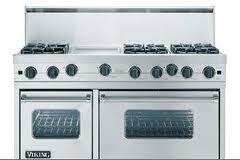 We have the updated know-how to repair any gas and electric oven type. Want gas oven repair in Pitt Meadows, British Columbia? Is the door gasket of your oven torn? Looking for microwave oven repair specialists? Need to fix an electric double oven? Seeking experts in built-in oven installation? No matter what you need, we offer. We do oven repairs in a timely fashion and will respond urgently in the event of gas leaks and similar serious problems. Whether you have a single built-in model or an oven range, we can service it. Our techs have the know how and experience to troubleshoot and repair problems. We carry parts for all common oven models to ensure the oven service is done correctly in one visit. And our techs will also help you when you buy a new oven. Whether range or built-in oven, we can install it. Whether you want electric or gas oven installation, you can count on our expert work. 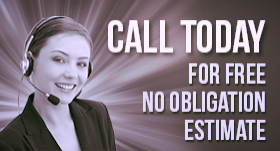 Give us a call whenever you are in need of professional services. We will be in your kitchen to do any oven repair in Pitt Meadows in a jiffy.